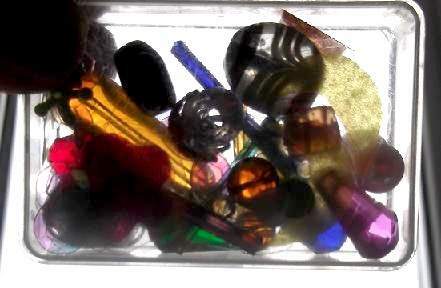 This is a 3 part tutorial on how to make a kaleidoscope that can work by turning the end like the real tin classic. If you are younger than 9 and you think you can master it then bravo go ahead, but usually this level of craft is for children 9+. Gather all the materials and tools before you start. They are all quite easy to find or buy in a local stationary shop. 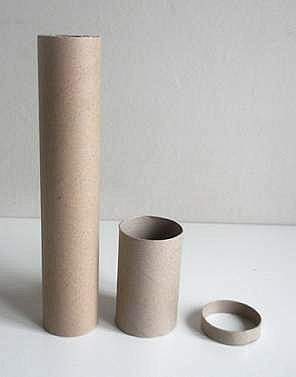 This paper kaleidoscope consists of 3 parts; the main cylinder; the turning end where the beads are placed; and the ring. It is an original KKC design using a ring and pipe cleaners as brushes so the beads can turn. 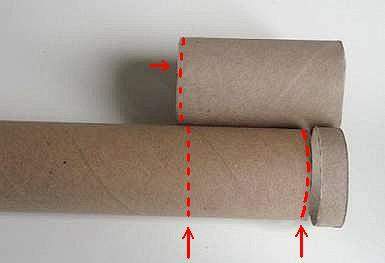 Cut the long tube to 20cm for a reasonable sized cylinder and make the shorter tube even shorter by cutting away 3cm to make the turning part. 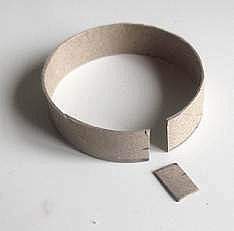 Make another 1cm ring from the 3cm you just cut off. So now you should have a tall tube, a shorter, fatter tube, and a narrow ring. Cut out a 1cm piece from the ring and then join it up again with adhesive tape. The ring should now fit loosely inside the short tube so give it a try before you continue. 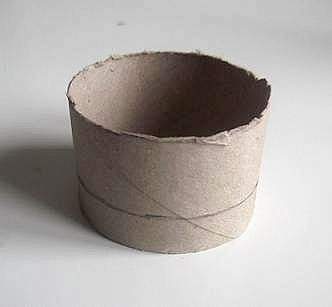 If it is too loose because you have taken too much off, just make another ring from the left over tube. if it is too tight take the tape back off and just snip a tiny piece away then tape it together again. The next step is to attach some brushes onto the tubes. 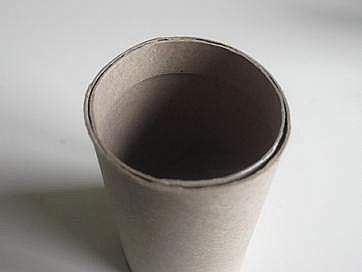 This is will make a kaleidoscope made from cardboard turn like a real one. Measuring where to put the brushes is essential. To do this lay the long tube on it side and then the ring with a small gap between them. Now lay the shorter tube flush alongside them. In the picture I have made 3 red dashed lines. 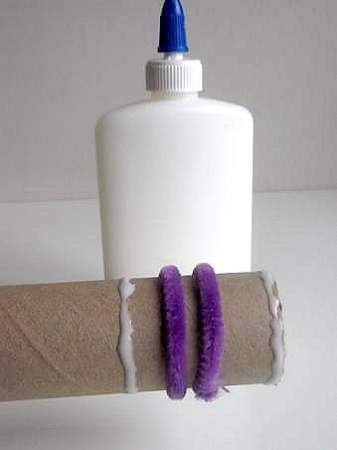 Mark your long tube the same, as this is where you will stick on the pipe cleaners. Wrap two cleaners around the long tube between the two marks and twist once to close them. Snip the ends short and press them inward using a solid object and run your finger over them to feel if the sharp ends are protruding. They need to be turned in so that they do not stop the tubes from turning or cutting. 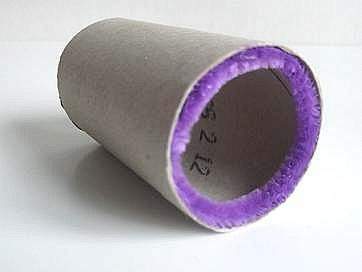 Paste a line of glue around the tube where the marks are. Do this carefully at precisely at the right spots to make it all work. Now slide the brushes into contact with the glue and leave to dry. The shorter tube has it`s brush placed just inside the inner edge. 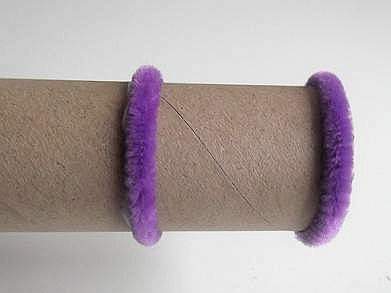 Cut the other pipe cleaner to fit snugly inside twist the ends once to close and tuck them in so not to damage the kaleidoscope. Later when you slip the smaller tube onto the longer one from the eyepiece end, it should stop when it meets the first brush on the long tube. Click on part 2 for the next step.